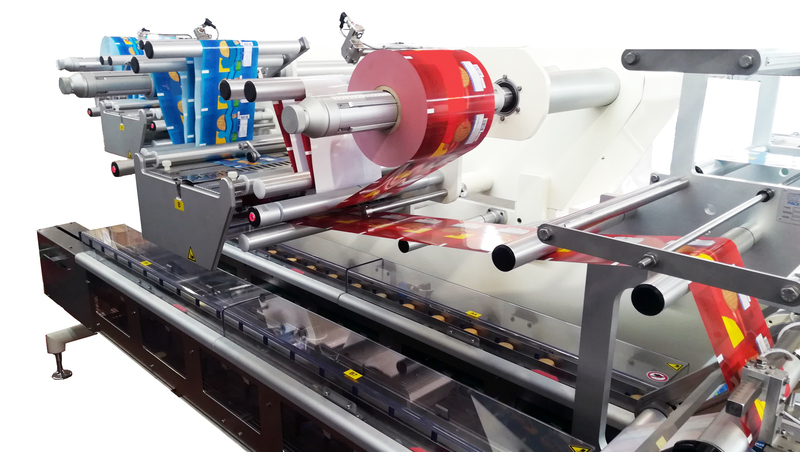 The M240 is a DUAL LANE horizontal flow wrapper machine capable of being fed by the widest range of feeding systems. Each lane is fully independent, allowing it to divide the product’s flow onto two wrapping legs or to use the second lane as a standby lane. This allows a footprint saving on the packaging line. Two of the units can be positioned in mirrored configuration, allowing only one operator to run four wrapping legs. Other characteristics of the machine are high performance and a new design allowing for increased operator visibility.